This young lady is lucky enough to have access to the great outdoors through the beautiful French doors in her bedroom. Come and take a peak through her bedroom door and see how her parents have brought the outdoors, in. 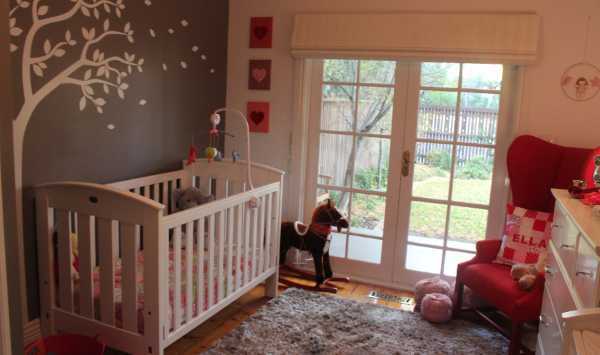 The inspiration for Ella’s room was to take full advantage of the garden and trees right outside the French doors in her bedroom. Ella’s room opens out onto a small veranda that overlooks our front yard. In the beginning, we didn’t know if we were having a boy or a girl, so we stuck with neutral greys and whites that could be personalised later. A large white cascading tree wall decal formed the focal point of the room, with leaves falling towards the garden outside. 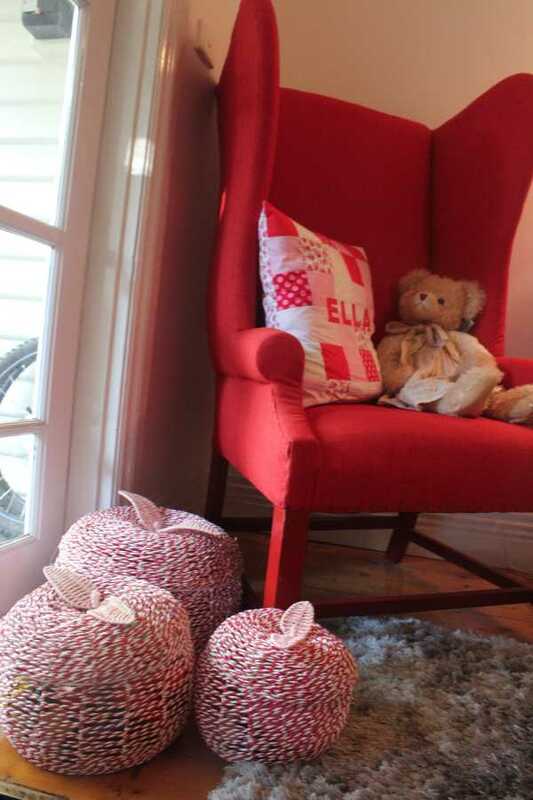 We decided to add a splash of red with the addition of a large Alice in Wonderland chair to bring a sense of wonder and imagination to the room. 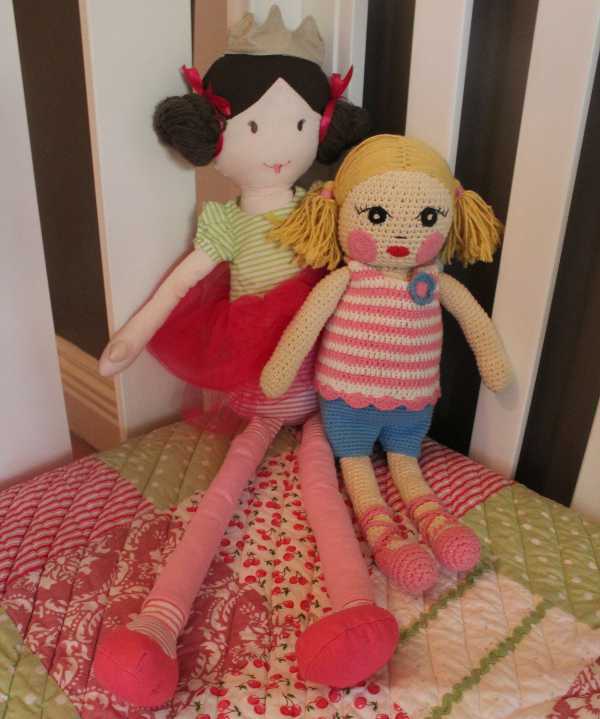 Once she was born, we were lucky enough to be given some gorgeous gifts (mostly in pink) that now adorn her room. 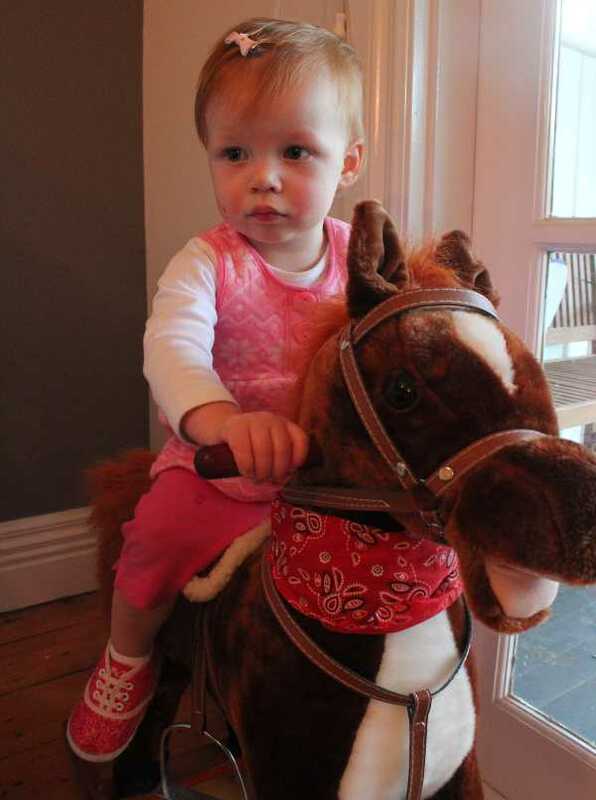 Her favourites are the Red Raspberry Apples, the wall mobile and the rocking horse. Buckets of books have helped her to develop a real love of reading. 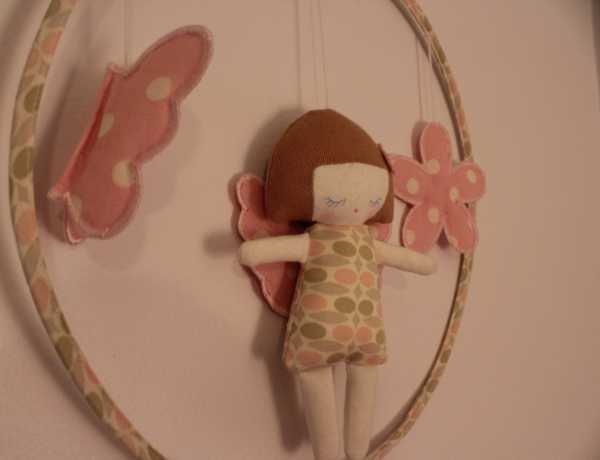 Inspiration from Pinterest helped me to create my own personalised pieces using buttons, felt and gorgeous fabrics. It took us a couple of months to paint and decorate the room before she arrived, and we love to add new bits and pieces to the room as she grows. 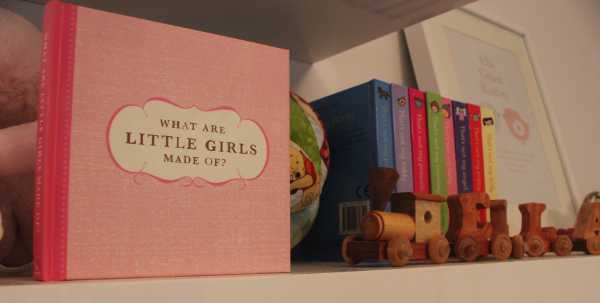 It’s a little girl’s wonderland. 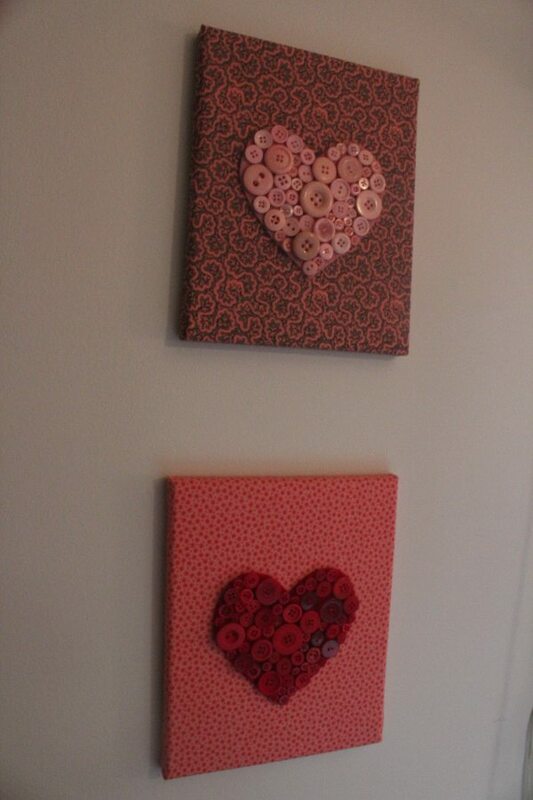 Ella’s room is adorned with special trinkets and artwork, including creations made by her mum, like the button hearts. And Ella already has a rather impressive collection of footwear, which looks beautiful on display.